You have decided that you need to lose weight. It may be a full-blown diet, or it may be that you make some gradual changes. Either way, you want to lose some weight. But there are so many diet plans you don’t know where to start. What should you consider when choosing a diet plan? Here are some diet plan considerations before you jump to try out the latest fad that promises miracle results with almost no effort. These are some of the things you need to bear in mind before you commit to a diet plan that you won’t be able to stick with. Keep these diet plan considerations in mind and you should end up with a plan that will fit into your life. Every day there is a new fad. We know there is no instant solution but people never seem to stop looking for an easy cure for their weight problem. This is made worse by the advertising industry who offer products and methods that are targeted precisely at people looking for an easy solution. If you want to lose weight permanently, you need to incorporate a permanent solution into your own lifestyle. More importantly, you must learn to live with your new choices. However, this doesn’t mean that you should become a different person. Usually, if you want to join new habits to your existing routine, try and find a healthy balance between the two. Stay away from things that state they can help you lose weight fast and do this without any effort. You know this is not true so don’t allow yourself to be swayed by these adverts. Many articles and books that you read, are people offering methods for losing weight from their own experience about a method that truly did work for them. While they could be telling the truth, you must realize that different things work for different people. We are not all the same and we do not all lose weight in the same way. This is why you must work out your own body’s requirements. 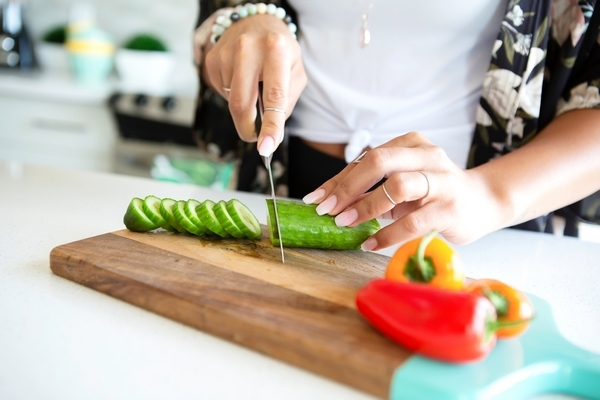 If you start a diet plan that leaves your body deprived of some essential nutrients, you will soon feel the consequences and your efforts will not achieve lasting results. So many people start an intense training routine because they want fitness results fast. They think this is the quickest option. However, this is very dangerous. It takes months to get into shape, and improved fitness takes time to build. You could easily injure yourself and overwork your body. You will eventually fail in your attempts to get fit because you chose a program that did not fit your ability. Even worse, an injury means you may not be able to workout for some time at your own level. This mistake can cost you valuable workout time. It not only prevents you from achieving your weight loss goals but also brings new health problems into your life. Once you stop exercising through injury, you will find it is even harder to start again. When selecting a weight loss regime, whether it’s a workout or a diet plan or both, you will need to determine the time it will take from your schedule. Do not commit to unrealistic demands because you will likely quit before you reach your goals. If you work a lot of overtime, a program where you need to cook intricate meals every night is hardly feasible. If you work twelve-hour shifts, a plan where you should eat every five hours will not work. Ensure your plan will fit into your lifestyle without significant change to either. You need to decide if this is a temporary “diet” that will not last long. Or will this teach you to eat right and keep the weight off for life? The truth is that lasting weight loss typically only happens when you stop “dieting” and start making lasting and profound changes in dietary and exercise habits. Check out our site for more advice on dieting. You should not think about this new plan as a way to lose weight. You need to think about solving your weight problem permanently. A healthy diet and exercise plan will maintain your health and fitness for life if you stick to it. You should always view any new method or regimen, as something that should become ingrained into your own lifestyle and stay with you indefinitely. Don’t think about a new diet plan. Think about starting a healthy diet and exercise plan that you can follow for life. 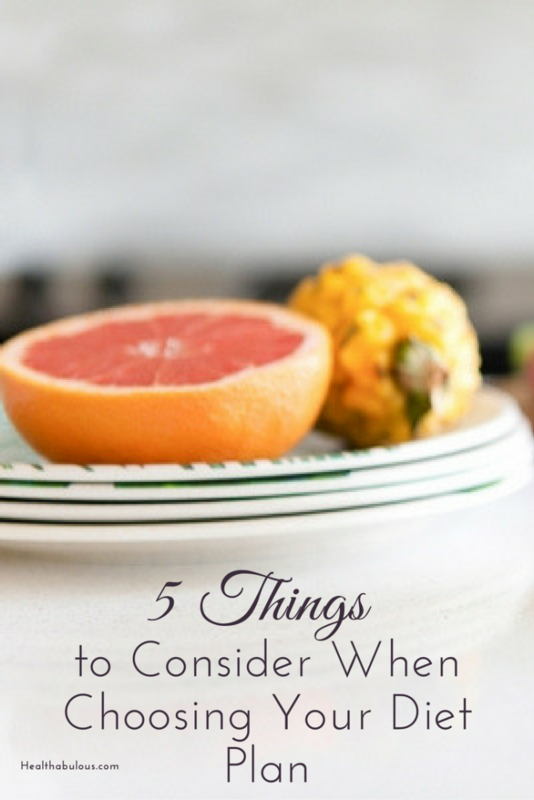 These diet plan considerations will help you to make that change.